Home > Albertina Walker > Caravans > Donnie McClurkin > Dorothy Love C > dorothy norwood > Gospel Waypavers > Inez Andrews > Interviews > James Cleveland > James Herndon > Kirk Franklin > Shirley Caesar > Walter Hawkins > Rev. James Herndon of the Caravans—No Coward Soldier! Rev. James Herndon of the Caravans—No Coward Soldier! You could say that Rev. James Herndon is still sweeping through the city. You'd be absolutely right. As a member of the famous Caravans, he composed some of the ensemble's biggest hits and was the accompanist throughout what many consider to be the trailblazers' glory years with Albertina Walker, Shirley Caesar, Inez Andrews, Delores Washington, Cassietta George, and Josephine Howard. On this particular summer afternoon, however, an unpretentious Rev. James Herndon strolled into the neighborhood restaurant, sharply dressed in a dark double breasted suit and a light fedora—complete with the side feather. He had just attended the funeral of one of his choir members. After we greeted one another, he settled into the booth and removed his hat. Over unusually tart strawberry lemonades, we conversed—he, sharing memories of the Caravans and James Herndon Singers as well as his views on today’s gospel music, and I, enjoying the journey back in time. Libra: Rev. Herndon, I am really honored that you made time to talk with me today. I know you’re very busy and “free time” is not something you have. Rev. Herndon: Aw. Well you know, people don’t have to have an interest in you at all; there are so many other folks that could capture one’s attention, so it happens to be that I’m just blessed in that respect. I was kind of pleasantly surprised when I went to Albertina’s funeral, because I hadn’t been there [Chicago] in probably 30 years. I went there not knowing who might even still remember me; but I was pleasantly surprised. There were gobs of people who still remembered, and that was a rewarding feeling. Libra: Why do you think they would’ve forgotten? Rev. Herndon: Well it’s been so long. 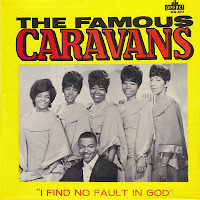 Libra: Well, it has, but your contributions to the Caravans as a singer, writer, and musician have had such a lasting impact….I always say that Golden Era gospel music was to gospel what the Motown era was to popular music. Rev. Herndon: Yes, and all of them [the groups] had their distinctive styles and you knew—you could hear the introduction to a song—and you knew who it was before they even started to sing, because everybody was so distinct. You could hear voices and you knew right off the bat who it was, which is not that easy to do nowadays. I still have CDs from the Davis Sisters, the Roberta Martin Singers, the Caravans, the Harmonettes, Dorothy Love, Alex Bradford—all of that era. I guess having written and having worked with people who were writing, I’m so used to when message was important. Now there’s not much message; it’s more about being artistic, doing commercial type things, and things that more mimic the other side of music than the church. Libra: Who were some of your influences? Rev. Herndon: My inspiration was Dorothy Love. I have not, to this day, run into anybody who could tell a Bible story in a song like she could! Libra: Dorothy Love Coates crafted some extremely catchy lyrics filled with stories and metaphors. Rev. Herndon: She did. They [her lyrics] were unique….I guess that’s what gave them so much impact. She was a powerful woman too. She could tear a church all to pieces—she wouldn’t leave anybody standing! And another thing about Dorothy Love, she could spit out words a mile a minute, and you could understand her; nobody else had that ability. We all worked at being articulate, but to go through the number of words that Dorothy Love could go through and get them all in there—and you could understand them all—that tells me that her message was the most important thing. And [today] some of these young folks can stretch out a word so long and make so many curlicues that you forget what the word was. To me, that’s not message; method maybe, but not message. It’s got to be about the message for me, because if I don’t have a message, then I don’t have a song. Libra: How were you introduced to music? I gather you’ve been doing this all your life. Rev. 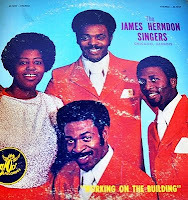 Herndon: All my life—even before I could play or anything like that—as a child, my mom and sisters and brothers used to tell me about how whatever we sang in church on Sunday morning is what I would sing all week long. I never did sing much of any other kind of music growing up; now I’ve listened to other music and I’ve enjoyed it. I enjoy Aretha because she sounds like gospel to me. I enjoy Gladys Knight; she sounds like gospel to me. I love those people who have that gospel flavor, because even though they may be singing something different, there are still many things I can learn from listening to them. It’s different today with all the rap and profanity; I can’t deal with that. Don’t get me wrong: it’s not that I haven’t heard profanity—of course I have—but I guess my point is that at this age, I’ve heard enough of it. When I’m supposed to be enjoying music, I want to hear music. I started playing the day my mom bought the piano. I was something like 11 or 12 years old. I just sat down that day, and I knew what I wanted to hear; so I’d get one part, then two parts, then three parts, and put ‘em together, and it just evolved from that. Libra: Did you have any formal training? Rev. Herndon: I did very little because being a kid, it was easier for me to just go ahead and play what I wanted to play than it was to learn. I regret that, but as a kid a lot of times we don’t always make the best choices. In the process of years, I have still learned a lot. I can actually sit down and read a sheet of music; I can’t always immediately play it, but I can, if I take the time, read music. I remember once when I was with the Caravans, we had been chosen to audition for a play on Broadway, Tambourines to Glory, and they didn’t send us the music until two days before we were supposed to leave going to the audition; but somewhere in the car, between New York and Chicago, I took those sheets of music and I taught them the songs in the car. I could read [music] pretty well. Libra: Wow. You mentioned being in the car. I hear that the Caravans used to travel in just one car, six deep. Rev. Herndon: Oh yeah, we had a six-passenger car and all of us were in there. All of us could drive and we shared the driving. We didn’t have the setup these young people have nowadays. Many times I’ve heard young people make comments about church or about some stages of gospel music—“I don’t like that” or “That’s for old folks”—and I just have to stop and ask, “Who do you think kept the church going until you got here? The church wasn’t born the same day you were, you understand?” Somebody had to keep it alive, and that grandma and grandpa and all those folks that you don’t like to hear sing anymore kept the church going. And those folks learned more by accident than most others learn on purpose! They didn’t know any music, but they learned to sing—and they sang. If they couldn’t do anything else, they could sing. And I tell young people they have not heard a song, nor will they ever in their lifetimes hear a song that will live as long as “Amazing Grace.” It doesn’t get any better than that! In spite of all those hits that people thought we had, some of our best performances were things that we never rehearsed. Just out of the clear blue, inspiration would hit somebody in the group, and we’d take off with it. And we were great with hymns. We knew hymns because we were church people; we had been raised in the church, and no matter how supposedly famous we were, we never got away from that. Libra: Now what year did you join the Caravans? Rev. Herndon: [I joined in] 1959. Libra: Who else was in the group at that time? Rev. Herndon: When I first joined, it was Albertina, Shirley, Inez, and Delores—just four of them. Over the years, for one reason or another, membership changed. For example, there may have been times when one was sick and there would be someone that we used in that place. For instance, Dorothy Norwood was not a part of the lineup that the public really fell in love with, got to know and appreciate. [She was in] the early group of Caravans. [Then there was a period when] she did a short stint with us while Albertina was in the hospital; Dorothy substituted for Albertina then, but Albertina came back. You see her [Dorothy] now, but she wasn’t a part of any of [the recordings] you heard with Shirley Caesar, Inez Andrews, and Albertina; she wasn’t in the group then. She wasn’t on “I Won’t Be Back No More.” She wasn’t on “Walk Around Heaven All Day.” She wasn’t there then; she didn’t do those songs with us. 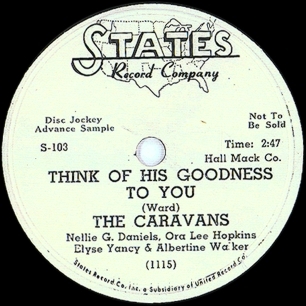 Now Dorothy has always written music for [the Caravans], but she hasn't always sung with them. Libra: You raise a valid point, Rev. Herndon, because for the Caravans’ “Keeping the Legacy Alive” tour following Albertina’s passing, the Norwood/Andrews/Caesar/Washington lineup was billed as “The Original Caravans.” This is misleading—in fact, historically inaccurate—because none of these ladies are actually original members. The original members were ladies whose names are most likely unfamiliar to today's gospel audiences. Rev. Herndon: The Caravans were around long before they reached their pinnacle of success. Albertina and a group of ladies sang background for Robert Anderson, and then she decided with this group of ladies, Why don’t we do our own thing? and that’s when she formed the group called the Caravans. 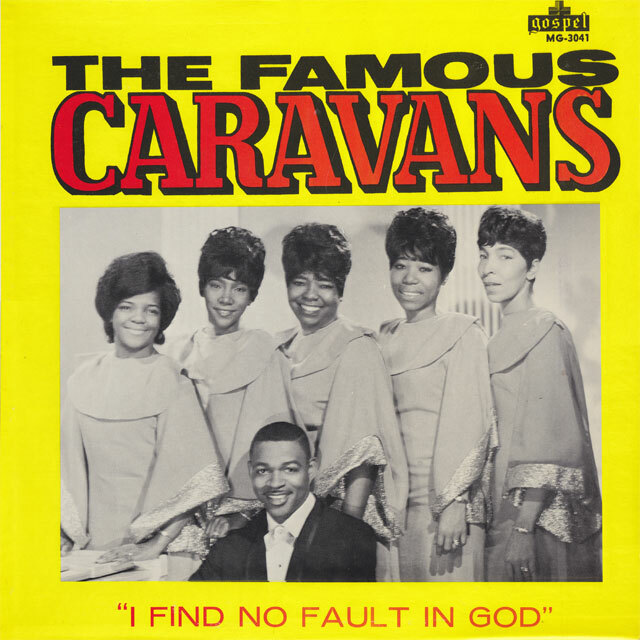 Now the first time I saw the Caravans, there was Elyse Yancy, Charlotte [Nelson] was the musician, Albertina Walker, Bessie Griffin, and I think maybe Iris Christmas. That was way back; I was still in high school. Libra: So, how did you become a part of the group? Rev. Herndon: The year after Shirley joined, they lost their musician and Shirley knew me. Eddie Williams was their musician; he was a dynamite guy. He’s the one who sang “Lord Keep Me Day By Day.” He played on the original stuff—“Mary, Don’t You Weep,” “I’m Willing to Wait,” “Running for Jesus” and all those songs—and I came behind him and I'm on the other things after that. He was a great singer, great writer, and great musician. Before Eddie, James Cleveland had been with the Caravans, but that was years before—and don’t get me wrong, they were good! They just had not found that right niche for the public...that particular “thing” that worked on a nationwide level with the public at that point. Libra: You came along after Eddie Williams and also wrote some key songs for the group. “I Won’t Be Back No More”—we call it “Sweeping Through the City”—was a mega-hit, and is still one of the Caravans’ signature numbers. Rev. Herndon: Yeah, “No Coward Soldiers,” “I Won’t Be Back No More,” “Where Is Your Faith in God”—a whole lot of songs. For the years I was with them, I was one of the primary writers…and believe it or not, somewhere somebody appreciates that [music]. I still get royalties from that stuff, as old as it is, and believe it or not, it is very well played in foreign countries. Libra: Is there a song that you wrote that took you by surprise with its success? Rev. Herndon: I had an idea about “I Won’t Be Back No More,” but I didn’t think it would just explode like it did. I mean that thing was instantaneous; and believe it or not, we sang that song for probably better than a year before we even recorded it, and people were just having a fit over it. Then the record came out, and it got into areas that we may not have been yet, and so it just became number one overnight. But I never realized it would get that big. I guess that one and “Mary, Don’t You Weep” have been around longer than any of the others. Those two just keep hanging around. Libra: Did you and the Caravans know at the time how huge you were? Rev. Herndon: No. No, we had no idea. Libra: When did you all realize the extent of your fame? Rev. Herndon: I guess it was toward the end of the time I was with the group. When it got to the place where you could take practically any large venue in this country and put James Cleveland [as well as] the Caravans [on the same program] and we could pack it with standing room, and turn folks away, then I sort of realized how big we really had become, but it never changed me. I’m an old country boy; I don’t know how to be anything else. And the bottom line is: I don’t wanna be. I’ve never thought of myself as talented; I still don't. Libra: What do you call it? Rev. Herndon: Blessed maybe. Not exceptionally talented and certainly not above anybody else, because there are so many younger people who can certainly out play me. That was something the Caravans always said: Never get too big for your britches because God has young folks still flipping burgers at McDonald’s who can out sing you. We always were aware of that. We ran into some tremendous talent when we were traveling, for example, the Williams Brothers. They didn’t have a record then; they were still kids, but those boys could sing their socks off! They could sing then, and they’re still doing it! I remember one time Whitney Houston’s mama had a group called the Drinkard Singers. Yessss, Lord! They had a version of “Sweet Hour of Prayer” that would drive you crazy! Libra: I’m sure your traveling with the Caravans made for a lot of vivid memories. What’s one of yours? Rev. Herndon: (Laughing uncontrollably) I remember one occasion, and if I’m not mistaken, it was our anniversary in Chicago…yeah, it had to be because they had just gotten these new beautiful dresses and the Caravans were always known for their dress…yes ma'am, they were always dressed to the hilt. They had on this beautiful orange, and they were singing. Inez used to do a version of “Through the Years I Keep On Toiling,” but she had this movement she did when she said, “I’ll walk in.” When she did that, she went one way and her wig went the other! (Laughing again) But that wasn’t what was so funny: The people didn’t laugh. It just got quiet. Libra: Oh my goodness. They were probably stunned like I am now! 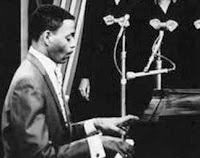 Libra: You were with the Caravans eight years, and even after you left in 1967, you were in demand as an accompanist—along with Jessy Dixon, Geraldine Gay and others. Rev. Herndon: Yes, and I played on all of Inez Andrews’ albums after we left [the group]. Then, I had my own group based in Chicago. Rev. Herndon: Yes, that’s mine! Rev. Herndon: Yes, I did. Libra: It’s a very smooth cut and a little different from what many had heard from you up to that point. Rev. Herndon: I like it til this day. That’s one girl and two guys [doing the background vocals] on that recording. Libra: What was your inspiration for that arrangement? Rev. Herndon: I was driving through Chicago, and there was something on the radio and the musical pattern stuck in my head. The more I thought about it, those words just seemed to fit perfectly into the pattern; so I put the two together. Libra: I notice that several of your compositions contain narratives. Eugene Smith used a similar approach to some of the Roberta Martin Singers’ songs and James Cleveland did the same while with the Caravans. How did this become part of your style? Rev. Herndon: Well, talking is something that has always come naturally to me. Even when I was in high school, anytime my teachers needed somebody who could just get up and ad lib, they’d call me. But [in singing and writing], there were times I felt like in order to make the message clear, it needed a little bit more than I could put into the lines of the song—I didn't have that Dorothy Love talent, ya know—so that’s why I would do that. It helped to make my message clear. Libra: What current artists do you listen to? Rev. 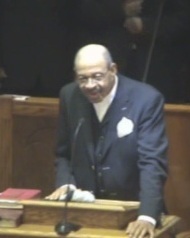 Herndon: I loved Walter Hawkins. He could sing his socks off! I love to hear Richard Smallwood; he’s a marvelous writer, and I commend him because he is more of a message writer than you find among many of today’s artists. I do love most of what I hear from Donnie McClurkin. Kirk Franklin has some dynamite music, but his best music is not what gets played on the radio. Rev: Herndon: I’ve had several people to tell me that, but this is one sad fact: When people think of the Caravans, they only see the singers. That’s a shame because on every record, you heard the musician before you heard anybody; the first thing you heard was a musician, and the last thing you heard—on every record—was a musician. 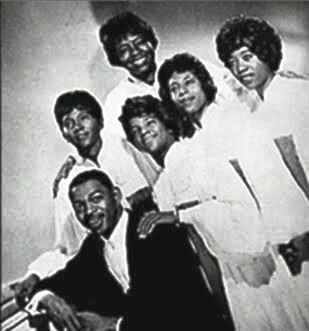 To many people, we don’t count….And I've thought about other groups....The Davis Sisters' musician was related to them, but you never hear anybody talk about Curtis Dublin—excellent musician. When you hear people talk about the [Roberta] Martin Singers, you never hear anybody talk about Lucy Smith—the woman could play her socks off, organ or piano....Musicians are the least appreciated folks in the world; it shouldn’t be that way, but it’s the truth. Rev. Herndon, thank you again for sharing your afternoon with me. Your fans have been posting your recordings on YouTube, and those who’ve been asking about you will be glad to know that you are still going strong. Rev. Herndon: Well, you know somebody kills me off at least once a year! (Laughing) I’ve had people to tell me, “You know I heard you were dead!” No, I’m still here, and I’m a more active evangelist now than I was when I was traveling; of course that’s because I’m more available to do that now. 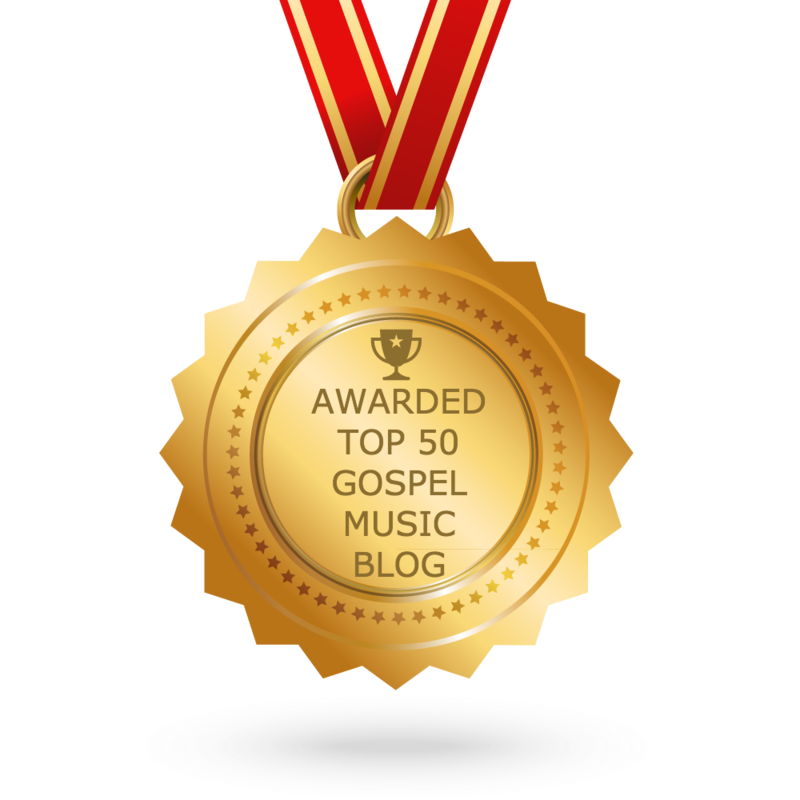 While feeling under-appreciated may be a sobering perspective of many musicians, Rev. Herndon continues to be in high demand as a preacher, singer, and accompanist. He maintains a rigorous schedule and currently serves as Minister of Music for six choirs in NC’s Triangle area. Wow, this is good stuff, Libra! Thank you for this journey with Rev. Herndon who's life is clearly a testimony and legacy within itself. Oh how I appreciate the foundational gospel singers who stayed true to the faith, stayed consistent with their music and were unwaiving against opposition and competition. 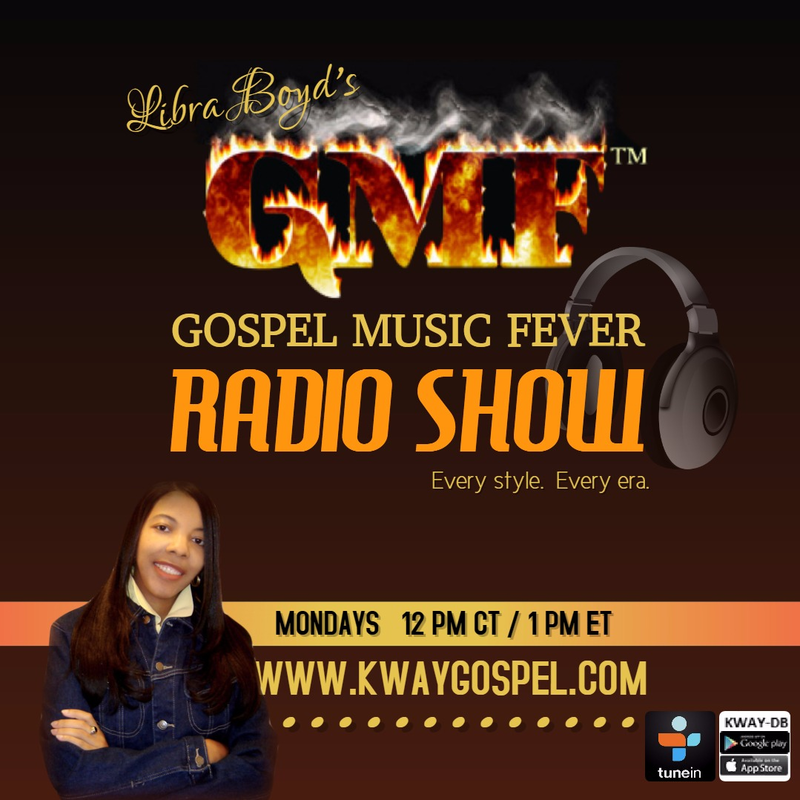 In the world of gospel music today, there's such a struggle with identity, the genre, the artist and the message. This interview brings out Rev. Herndon's love for the message, which identified the gospel music he would bless the world with and his experiences which developed his artistic abilities. To stay true, we must embody the message first! This was great! How can i find James Herndon? I'm covering one of his songs by the caravans and would like to send him a copy. my email is gracechyld7@gmail.com. Thanks. Daphney, I will pass along your information.